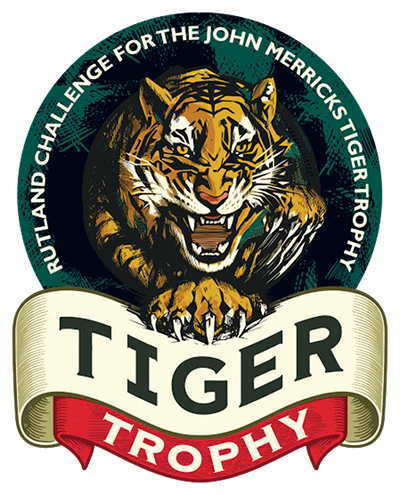 The Everards Rutland Challenge for the Tiger Trophy was started in 1994 to encourage young sailors from different dinghy classes to sail against each other in the ‘off’ season and before winter training programmes began. The trophy, a terracotta Chinese tiger was found in a Bristol antique shop. Tony Everard , Chairman of Everards Brewery and a Club member had supplied 420 ‘Rutland Challenge’ to enable John Merricks to continue his sailing career. The first event was mainly supported by 420’s with a few Laser 2’s and the 4000’s and 470’s to represent the transition. The weather was freezing and the format was four short races per day directly in front of the club at Rutland with three discards allowed. John won this first regatta with the format repeated for the next two years. In 1997, due to club politics, the event was moved to Northampton Sailing Club at Pitsford and John presented the prizes. Following his untimely death a few months later, it was decided to establish the ‘Tiger’ in his name and use it to raise money for a trust, established to support young sailors in the same manner as Tony Everard had done for John. On the return to Rutland, the format was changed to the now traditional Three races on Saturday followed by a pursuit race on the Sunday. A formal ‘black tie’ dinner was held at the Victoria Hall in Oakham for many years to reflect John's other significant characteristic, his ability to have fun, and tickets were always over subscribed .Commercial pressure and the economic climate forced a change of venue to the newly refurbished RSC clubhouse. Everards Brewery continued to support the event and the dinner. Much has been achieved at the Tiger Dinner culminating in last year’s initiative for the John Merricks Sailing Trust (JMST) to link with the RYA OnBoard scheme and to supply some 60 starter dinghies to young sailors over the next 5 years. Half of all monies raised from entry fees and dinner tickets continue to go to the John Merricks Sailing Trust.